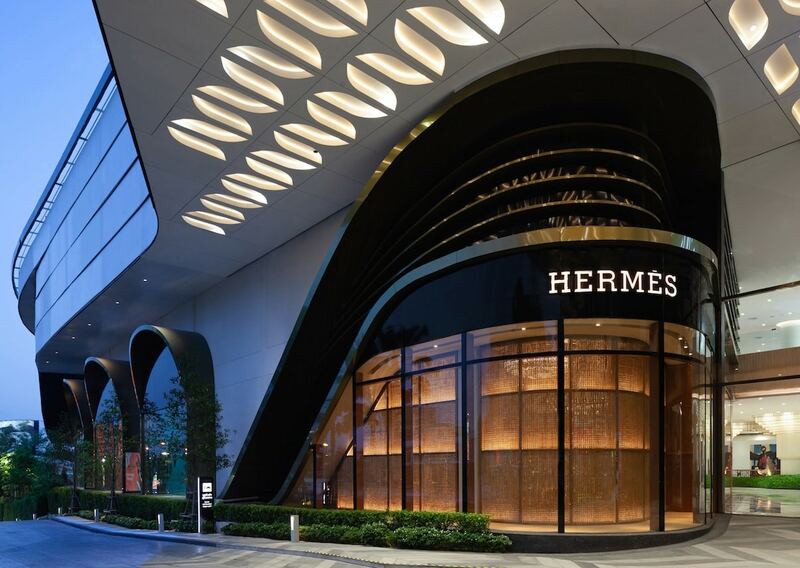 When Phuket welcomed its new mega-venue Central Phuket Floresta, the sleek and spacious department store brought with it an abundance of new delights, including a 3D theme park, an aquarium, and most recently — what we find particularly exciting — Phuket’s first ever Hermès store. 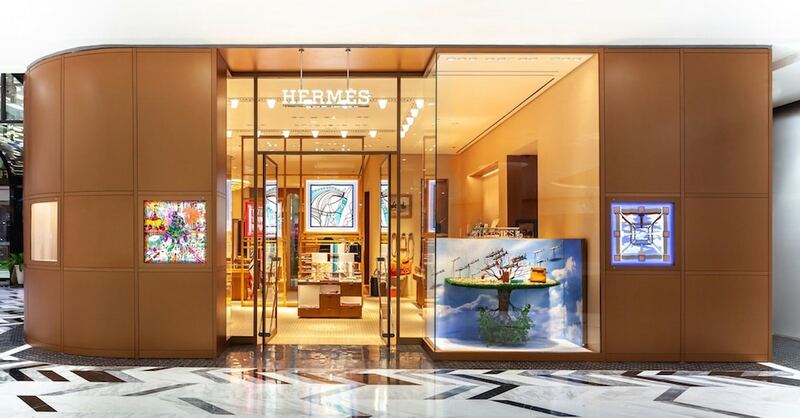 As Hermès’ first step out of Thailand’s capital city, the new Hermès Phuket store is both a statement of expansion, as well as a means to reach a wider audience of both local residents and international tourists. From the concept, to the design and high fashion wonders that await, here’s everything you need to know. 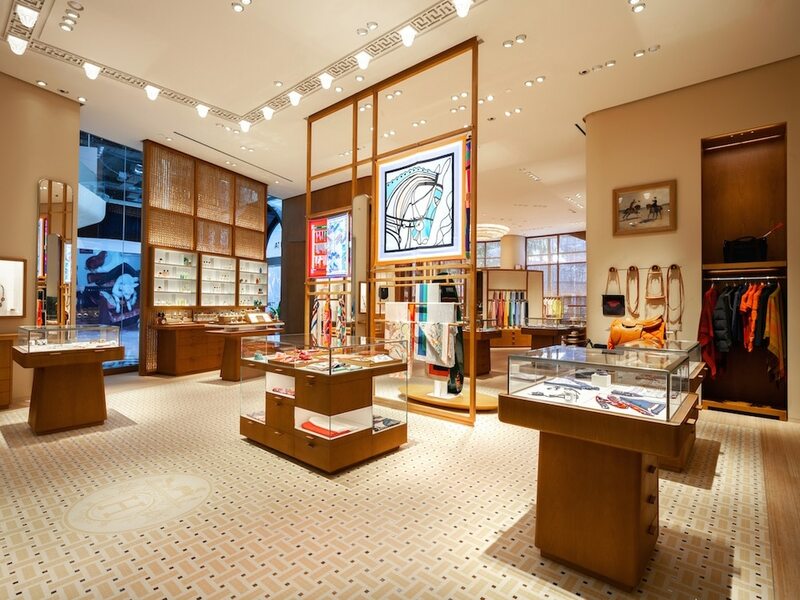 The Hermès Phuket store is yet another spectacular brainchild of Parisian architecture agency RDAI. Spanning 172 square metres of retail space, it rises by the shopping centre’s main entrance with a striking double exposure effect, created by an overlapping interior and exterior façade. The bamboo calustra we’ve come to know and love continues from the mall’s exterior glass lines, allowing sunlight to dapple in and illuminate the space in a natural golden glow. 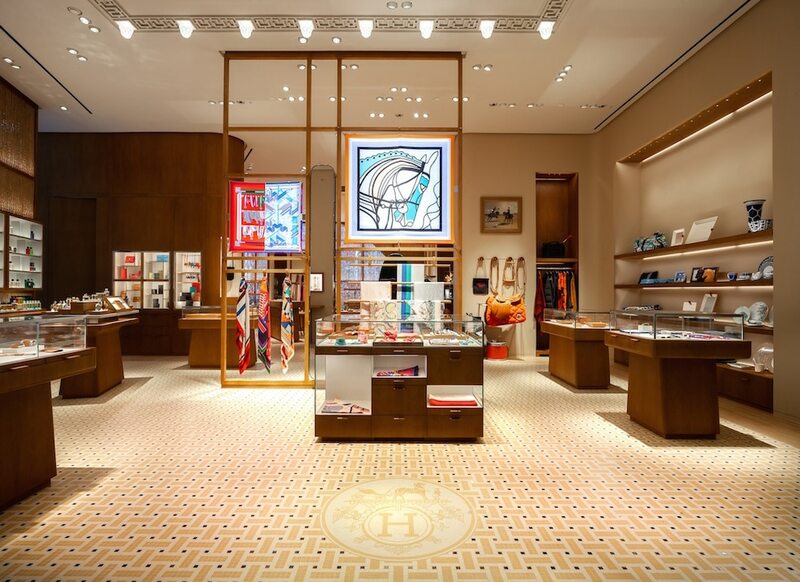 RDAI has long been reputed for skillfully manifesting Hermès’ take on luxury into a three-dimensional spatial experience, and the Hermès Phuket store does not disappoint. A tasteful blend of Thai culture meets modern architecture, it is in the details — namely, the incorporation of materials that are natural and locally sourced — that the design truly shines. From bamboo floors and claustra, to cognac tones Cherrywood walls and silk tinted the shade of toffee, the gentle warm hues are reminiscent of sand and sun, creating an environment that is both tranquil and cheerful — lit by the House’s signature Grecques lights, designed for the brand in 1925. Upon entering the store, expect two main areas. Faubourg patterned mosaic floors greet you, upon which rests the brand’s various collections in silk, fashion jewellery, fragrance, and even art of living and equestrian products. An intimate space is set off for guests to marvel at the watches and jewellery pieces, while deeper within are the men and women’s wear collections. Looking for shoes? Head to the sand-coloured carpet, where the shoes are placed delicately, illuminated by a custom-made bamboo light. Whether it’s in the midst of the happening Bangkok city, or at the heart of Phuket’s buzz, Hermès never fails to provide a peaceful recluse from the hustle and bustle. 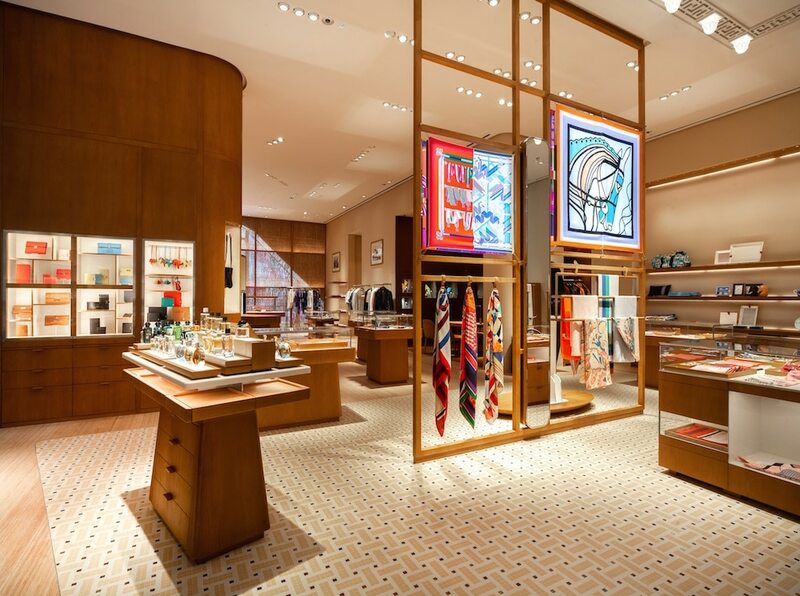 Experience the Hermès Phuket store firsthand at Central Phuket Floresta. To find out more, call 0 7629 1111, or visit https://www.hermes.com/us/en/.